Relive the 2010 Winter Olympics through a lawyer’s eyes. Our travel columnist, Edward Prutschi (aka The Crime Traveller) was in Vancouver and Whistler, and he provided a half-dozen dispatches on everything from talking his way into prime seats for the bobsled to scoring impossible-to-find ski cross tickets on Craigslist from a fellow fan, who happened to be sitting two sections over from him at a hockey game. Plus, check out Edward’s phenomenal photos of the games, the athletes and the cities that hosted them. There’s a photoset accompanying every blog post. 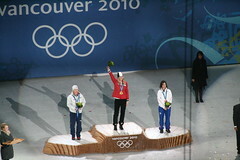 The Crime Traveller: Vancouver 2010 — the best Olympic Winter Games ever?